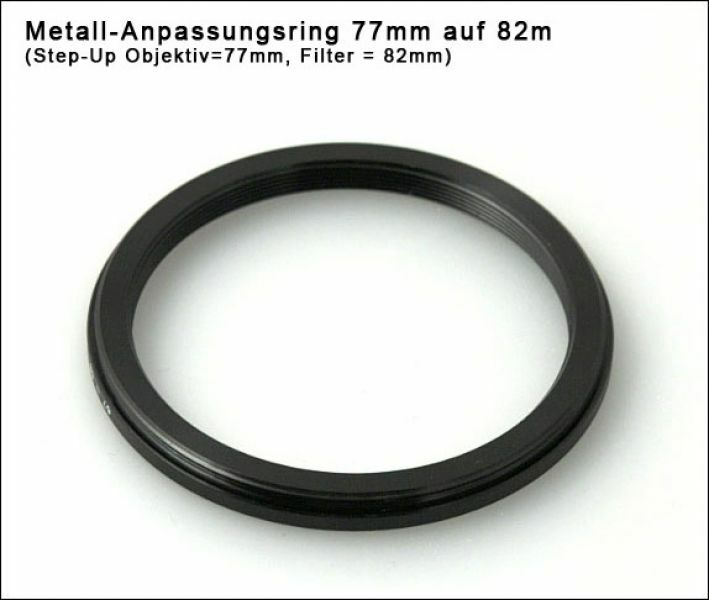 Step Up Ring from 77mm to 82mm. Ability to adapt 77mm Lenses to use with 82mm-filters or Polfilter with 82mm. This Product was added to our catalogue on Friday 04 April, 2008.